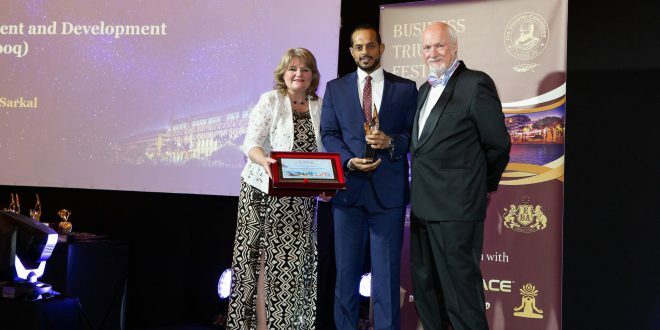 The Sharjah Investment and Development Authority (Shurooq) has bagged this year’s ‘Excellence in Quality’ Award at a landmark international business event, the Business Triumph Festival 2018, hosted by the Summit of Leaders in Cannes, France. Marwan Alichla, Investment Promotions Manager at the Sharjah FDI Office (Invest in Sharjah) received the award on behalf of Shurooq in the presence of top politicians, businessmen, entertainers, diplomats, owners of successful companies, and authors of innovative business projects who flew in from around the world. This award is the latest reinforcement of Shurooq’s growing global admiration as an authority in implementing the highest quality standards in all its products and services, be it targeted towards their commercial partners and stakeholders, their end consumers, the training and development of their workforce, their continuous engagement with companies globally to share best practices and business expertise, or the organisation of thought leadership forums like the Sharjah FDI Forum that sheds the spotlight on latest trends and new market opportunities. In the recent past, Shurooq has secured a several local, regional and international awards including being named the Top Investment Promotion Agency in Middle East thrice, was named FDI Agency 2013 as at the Banking Awards, and won the ‘FDI MENA Agency of the Year 2014’ recognition at the European Global Banking and Finance Awards. Other accolades received by them include the Arab Organisation of Social Responsibility Award and Sharjah Government Communication Award in 2015 and 2017. 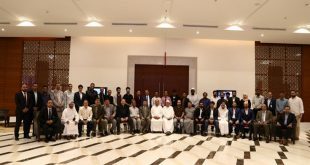 The Summit of Leaders has been offering its unique platform for global businesses to connect and share best practices in managing companies, promoting their products and services, deliberate upon the improvement of business processes. It is a permanent interactive platform for international economic, academic and intercultural cooperation. Since 2000, over 8,000 delegates worldwide have visited the Summits of Leaders. 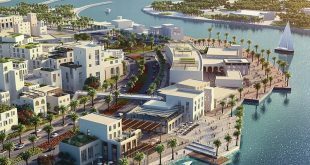 The Sharjah Investment and Development Authority (Shurooq) seeks to promote Sharjah as a trade, tourist and investment platform. It works to facilitate the investment process for all investors, company-owners and businesspersons in addition to linking them with proper investment opportunities.